Another year, another morning team at CNN Philippines. 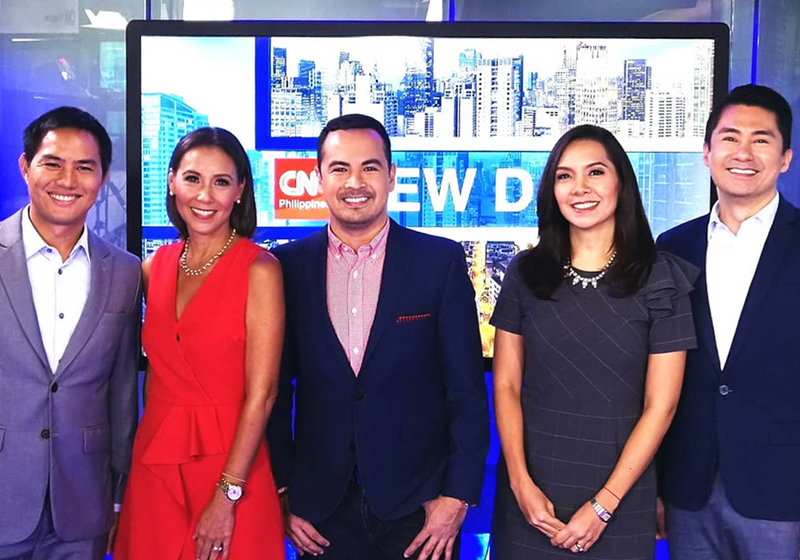 Starting Monday, June 11, the local CNN station's flagship morning news program, New Day, will introduce the newest members of its on-air team, as it moves forward without one of its lead anchors, Claire Celdran. As what we reported earlier this month, former ANC host Ria Tanjuatco-Trillo will be joining the program in an anchor capacity. She will also become the new face of the 8 o'clock edition of Newsroom. "I thought I was done with TV but I guess it wasn't done with me. Starting with @cnnphilippines on Monday," she posted on her Instagram account Friday. Also part of the new team are MedTalk host Dr. Freddie Gomez and former Bloomberg TV Philippines host Michael Alimurung, who is also currently the network's resident business analyst. The current hodovers from the previous team, Christine Jacob-Sandejas and Andrei Felix, will remain in their current capacities, with the latter also continuing as anchor of Sports Desk. James Deakin, meanwhile, will also continue as a frequent host of the program. First launched in February of 2016, New Day was originally headlined by Felix along with the late Amelyn Veloso, PMS undersecretary Karen Jimeno, and Claudine Trillo. It was later revamped in 2017 when the network brought back Claire Celdran to her old morning timeslot, along with Jacob-Sandejas, Felix, Deakin, and Leading Women host Angel Jacob. Now aren’t these just the faces you want to wake up to every morning? Catch us on New Day, M-F, 6am-730am. Thanks for the warm welcome, @andreifelix, @christinesandejas, Mike and Doc Freddy!